Héctor Herrera and Porto finished their UCL road trip with a 1-1 draw against FC Basel. Porto plays at home against FC Basel on Tuesday, March 10. Chicharito played 20 minutes against FC Shalke in Real Madrid’s 2-0 win in the UCL. Giovani and Jona played a full 90 against Eibar today. Giovani participated in the winning goal with a slick back heel pass to Vietto for the 1-0 victory. Tecatito Corona continues to play above and beyond expectations, as he scored a header today against Vitesse. He has claimed 3 goals in three games, and now has the most goals of any Mexican abroad (9). Raul Gudiño was called to Porto’s U19 squad, and helped them win against Real Madrid in a penalty shootout. Raul was outstanding, saving two of Real Madrid’s shots. Piojo Herrera made a statement that Jésus Dueñas would be called up by El Tri. Almost on cue after the announcement, Dueñas scored a golazo against Juan Aurich in the Copa Libertadores. Unlike in the previous cycle, the Copa América will have tournaments in consecutive years. The 2015 edition is going to be held in Chile and will be one month before the Gold Cup. Although Mexico would love to send its best team, there is reassurance that in 2016, the Copa América will return. Moreover, the 2016 edition will be held in the United States. This means that home field advantage will be a first for Mexico in the tournament, and that it can be a main focus for El Tri. The 2015 version of the tournament will have to be a training ground for some players, while the first team is sent to the Gold Cup. In 2011, Mexico won the Gold Cup and won a ticket to the 2013 Confederations Cup. However, the format for the Confederations Cup ticket has changed in the CONCACAF; the 2013 Gold Cup gave the U.S. a spot in the Confederations Cup playoff. This format change means that Mexico needs to win this cup in order to play the United States in autumn this year. The winner will represent the region in 2017, but if Mexico doesn’t win, they will have no chance of making it to the next Confederations Cup. And why is this important? If Mexico represents CONCACAF in 2017, they will play in a major cup every year until the World Cup (2015 Gold Cup, 2016 Copa América and 2017 Confederations Cup), and nothing helps a teams evolution more than playing against the best year in and year out. Mexico’s legendary skipper, Rafa Márquez, may no longer represent Mexico after this year. At 36 years old, the defender has played a lot for country and club, which means Mexico needs to start focusing on a replacement heading into 2018. Reports have come out that Rafa will be captaining El Tri one more time at the 2015 Gold Cup (along with other top Mexicans abroad). It would be great to send Rafa to Chile for the Copa América, but seeing that he will play with what looks to be Mexico’s stronger team in the Gold Cup, it would be great to see El Capitán go out on top. 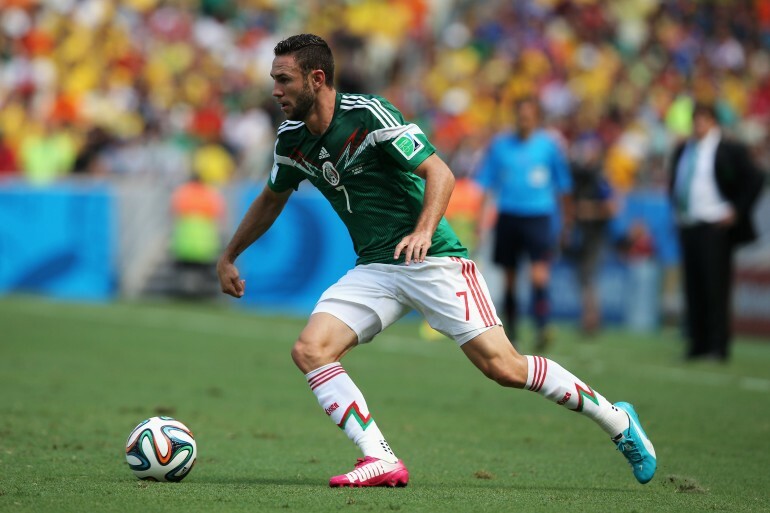 Mexico will have two different teams playing in tournaments this year. It may seem unfortunate at first glance, but Mexico will have a major opportunity to win the 2015 Gold Cup, as well as sending a top squad to the 2016 Copa América. Not to mention, a Gold Cup victory gives Mexico a slot in the CONCACAF playoff for the 2017 Confederations Cup. Expect Mexico to take this years Gold Cup very seriously, and with good reason.